A diverse percussion loops library of the most requested world percussion styles: Afro-Cuban, Brazilian, funk, hip-hop are among the essential percussion styles presented in this sample download pack. And, for added versatility, you'll find the sound samples of congas, bongos, surdos, pandeiros, shakers, udus, rainsticks and other instruments. 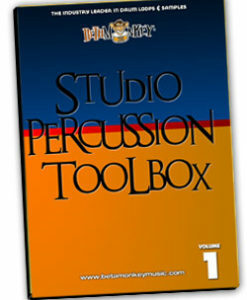 An intense and focused library of essential world percussion samples.